Most Pergolas Are Made out Wood. The wooden pergola is a good solution to add beauty to your garden. If you are not ready to spend thousands of dollars for building a cozy pergola then you may devise new strategies of trying out something different so that you can reduce the cost of building them considerably. Together with saving money, building a wooden pergola by yourself will also give you the satisfaction of self made achievement that will increase the value of your house. You can measure your area and draw graphs to build wooden pergola. This could be done with cedar wood or red wood. All you have to do is to spend a couple of days in your weekend to build the wooden pergola. Getting the help of your friend will be just enough. These structures are not overcomplicated as you might be thinking of them. They could even be made as simple as possible but still offering that great dramatic and appealing looks. Though pergola could be built with any material, the wooden pergola is quite common among people. 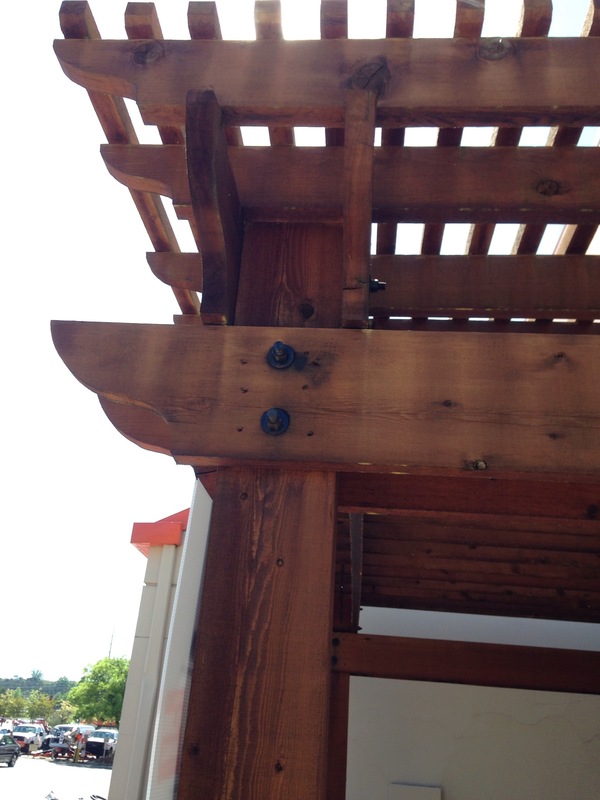 This is because the wood makes the pergola look more sturdy and substantial. If they are surrounded by plants they look even more beautiful. When you grow creepers and climbers like vine around the structure, they will take well on the wooden surface and cling to it for support. This will make your outdoors look great like an oasis. With comfortable seating you can enhance the tranquility of the atmosphere inside your wooden pergola. Adding few personal touches like putting colorful pillows, rugs and furniture will add color to it. You can buy wooden pergola kits in the gardening supply stores or hardware stores. You can also find them online. If you order them online they will be shipped to your house. The wooden materials come pretreated to prevent the moisture, bugs and deterioration. Make sure that the wood is pretreated before you buy them. The wooden pergola plans come attached with the pergola kits. You can build them in triangular or circular or square shapes. However the newbie will find erecting a square or rectangular shape wooden pergola easy. You have dig holes for putting foundation when you start your work. This should be done in cable free area. The posts should be given a strong base with the cement so that they will not move or sink. Start building the wooden pergola as per your taste after that.